Some people believe that achieving comfort at home affordably is difficult, if not impossible. But new energy-saving practices can give you complete control over your home while lowering your utility costs. With the help of a seasoned contractor, you’ll be able to live in the home you want at a price you’ll love – no matter the weather! With over 30 years of experience, serving the needs of 20 counties in the southern Iowa and northern Missouri markets since 1983, Gilbert Home Comfort offers professional home energy services and is a full service mechanical firm. Our complete in-home operation includes planning, system installation, repair or replacement, as well as routine maintenance and advice. We work with a wide variety of HVAC, insulation, electrical, and plumbing services to help as many people as possible. 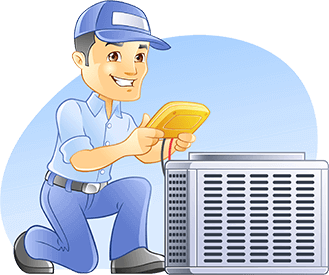 Our technicians are highly trained and certified to complete any task given to them. Their friendly personalities will put you at ease as you ask any questions you might have. GHC staff are able to determine the most efficient energy solutions for a given business or home, including LED lighting, spray foam insulation, solar electric, and geothermal and modulating compressor technologies for heating and cooling. For all things home energy, you’ve come to the right place! Industries of Houston, Texas. Many changes have occurred even more recently! In 2014 we became a Daikin Comfort Pro Dealer, and we worked with National Radon Defense on new initiatives. We also grew to three locations. We are currently starting the Gilbert Home Comfort Scholarship, open to anyone looking to enter the mechanical industry. The recipient will also receive training in our Leon, IA location. Finally, in 2015 we opened Southern Iowa's first Destination TrueValue Store! A Destination TrueValue incorporates one-stop shopping, project inspiration and all of the products and advice consumers will need to complete their projects. We have experienced so much growth in the past few years alone, and we can’t wait to see what else the future holds. Here at Gilbert Home Comfort , our motto is ‘Where tradition meets performance.’ We have the years of experience necessary to build a home energy business based on excellence and real knowledge of the trade, and we combine that with current, updated information and practices. This gives you the best outcome possible! To learn more about Gilbert Home Comfort and the services we offer throughout Leon, Osceola, Centerville, and nearby Southern Iowa and Northern Missouri, contact us today!